July 21st in WordPress Themes by Wordpress Jedi . In case you missed it, Google will penalize websites that are not mobile-friendly in the mobile SERPs. You don’t have to be a genius in CSS and responsive web design to make your WooCommerce store mobile friendly. Not when you can download WPtouch and the MobileStore theme to make your store optimized for iPhone and Android devices. April 20th in Wordpress Plugins by Wordpress Jedi . WPtouch happens to be one of the best mobile plugins for WordPress. It can make your website mobile friendly in a flash. The free version offers lot of features. But there are many compelling reasons to switch to the pro version. We have not had a whole lot of trouble with WPtouch themes in the past. They are easy to customize and fairly fast. Plugin incompatibility issues can usually be addressed without too much trouble. Even though Wptouch is very fast, you should still take time to try and make it perform in a more responsive fashion on mobile sites. Infinity Cache can help. April 15th in Wordpress Plugins by Wordpress Jedi . WPtouch is one of the best mobile WordPress plugins around. We use it on many of our websites to make them mobile-friendly. 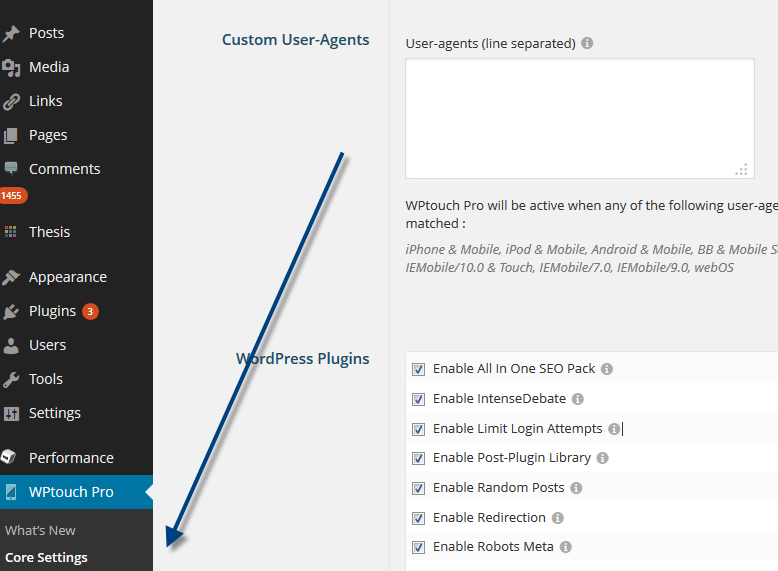 While WPtouch works well for the most part, the plugins that you have installed may not be fully compatible with it. In our case, we had a tough time getting Sharebar to work with it. Its social sharing buttons were simply breaking our mobile theme. 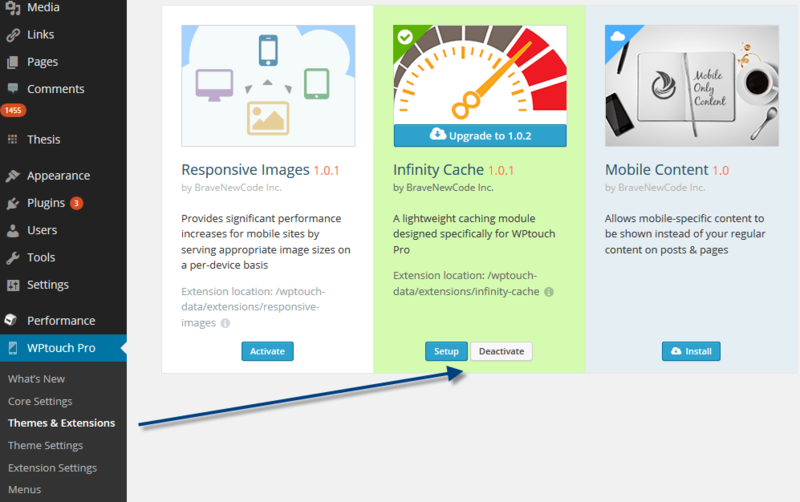 Regardless of which plugin is causing your mobile site issues, you can easily disable it from the Core Settings Page of WPtouch. March 12th in WP Stuff by Wordpress Jedi . We have been using WPtouch to make our websites smartphone friendly for a long time. The script is generally reliable and does what it promises well. But it does not play well with every plugin you install. A few months ago, we started having some annoying issues with the plugin. For instance, the iPhone version of our site was showing up on desktop or tablet computers. In some other cases, the iPhone skin would stop working on all pages expect the homepage. As it turned out, W3 Total Cache was partially responsible for this issue (our fault). 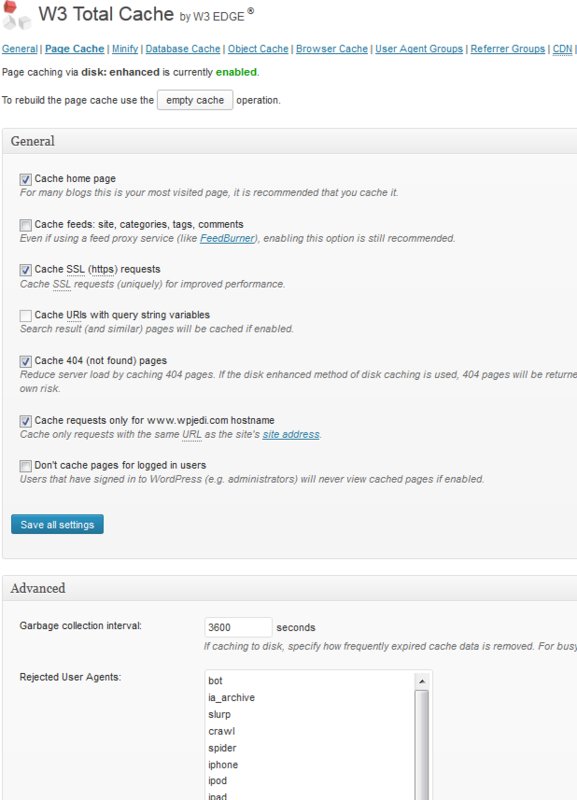 We needed to configure W3 Total Cache to get it to play nice with WPtouch.